Due to the general economic conditions and the weakening CAD, demand for Canadian-made Folding Carton Manufacturing is seeing a dramatic increase in bid requests from many companies south of the border. Netpak has emerged as a leading choice for American companies looking to leverage more buying power from the strengthening US dollar. 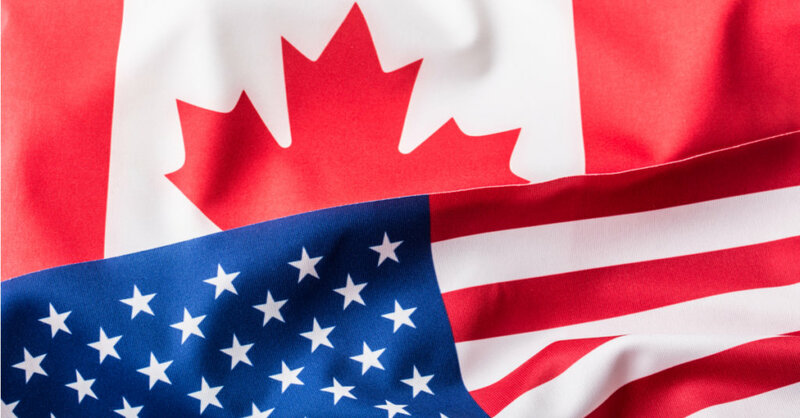 The drop in the Canadian dollar has created a tremendous opportunity for U.S. companies that are willing to source their production to Quebec. Just on the currency alone, they can expect savings of roughly 20-30 per cent. Netpak is keen to lure more U.S. bids to its Quebec operations as we are confident the company can not only service this demand, but we also welcome the opportunity to showcase Netpak’s expertise, technological sophistication, and ability to meet production requirements of the highest standard, volume, and quality to a broader North American audience. Netpak is Quebec’s largest privately held manufacturer of printed folding cartons and a significant printing and packaging partner to many leading consumer packaging companies in North America. We stand by our unwavering commitment to quality and customer service. If you’re new to Netpak, here’s what you need to know. With clients across a number of highly regulated industries such as health and beauty, pharmaceutical, and food and beverage, Netpak takes pride in adhering to the most stringent standards to meet each and every requirement. From regular client and supplier audits, to certification audits and ongoing internal process evaluations, our commitment not only to Quality Assurance but also to Quality Products, is a mindset that is shared across the entire Netpak organization. Supplying packaging around the globe to some of the biggest brands in multiple industries, we use only the most innovative and latest European techniques and procedures for our packaging. And we’re continually updating and improving our production process and the quality of the materials we use. We know how valuable your time is – your product doesn’t go out the door unless it’s carefully and thoroughly inspected at every stage of the production process, all the way to packing. That said, we’re known, both nationally and internationally, for our fast and efficient production lead times, being one of the fastest in the country. And we’re extremely proud of this achievement. We operate with speed-to-market and sense of urgency. No matter what packaging you require, our impressive start up times ensures that we are on your schedule. For your custom orders, our proven success ensures that our team designs and delivers well ahead of your deadline. We know what Speed-to-Market means to you, so we do everything to keep you satisfied. Using high quality paperboard that’s globally sourced, we are able to provide you with flexible packaging solutions at an efficient cost. Our wide range of packaging is manufactured with precision, according to your own specifications. Whatever size, style, or type of packaging your business requires, we’re here to accommodate your needs. Our focus is customer driven, and when you choose Netpak, you’re choosing peace of mind that the packaging we deliver is going to build visibility for your brand and company. We have an excellent team of industry experts that help us provide you with the printing and packaging you need – all the way from the design stages to the finished product. The end result is printed packaging the makes an impact your customers won’t overlook.